Every year, we’re the authority on the most popular baby names from the prior year based on requests for Social Security numbers for newborns. It’s fun to see how America’s trends and culture have diversified and our choices have broadened. You can visit our baby names page to see the top names from 2016 and see where your or your child’s name ranks! Our list shows how pop culture affects naming trends year to year. In 2016, the biggest jump in popularity in the top 1,000 were Kehlani and Kylo. Kehlani rose 2,487 spots on the girls’ side to number 872, from number 3,359 in 2015. We can attribute this to Kehlani Parrish, a 2016 Grammy nominee also known for collaborating with Zayn Malik, the former One Direction star and current solo artist. The name Zayn also made the boys fastest riser list. The force was strong for Kylo in 2016 as he soared 2,368 spots for the boys, from number 3,269 in 2015 to number 901. Kylo Ren was a major character in the 2015 film “Star Wars: The Force Awakens.” Perhaps Kylo can continue to harness the force and climb even higher in the coming years. Some other notable names in the top 10 biggest increase category include Benicio and Fox for boys. The force could be strong for Benicio too, as Benicio Del Toro is rumored to be playing a character in the upcoming film “Star Wars: The Last Jedi.” As for Fox, did anyone ever figure out what the fox said? Saoirse, Ophelia, and Alessia for girls also jumped in popularity. Could Saoirse Ronan, the popular actor and Academy Award nominee, have anything to do with the popularity increase? For Ophelia, is it because of Shakespeare or The Lumineers? Singer/songwriter Alessia Cara’s three recent top 10 Billboard songs certainly affected her name’s rise in the charts. No matter the inspiration for your child’s name, you can rest easy knowing we’re with you and your child starting from when you choose their special name. Get to know us and the resources we offer to families with children at socialsecurity.gov! 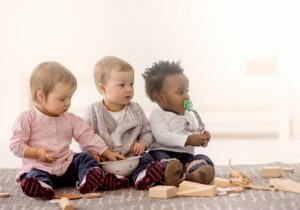 This entry was posted in Online Services, Special Events and tagged 2016 baby names, baby, baby names, benefits, pop culture, social security baby names, Social Security benefits by Jim Borland, Acting Deputy Commissioner for Communications. Bookmark the permalink. Sad!! Why do parents feel the need to saddle a child with such an unusual name (particularly in light of the “political” leanings of some of the Hollywierd types)? Fortunately, they won’t be the only Bernecio or Zayn in their class. If you want a “different” name for your child, look elsewhere for inspiration. here? I’d really love to be a part of community where I can get suggestions from other experienced people that share the same interest.